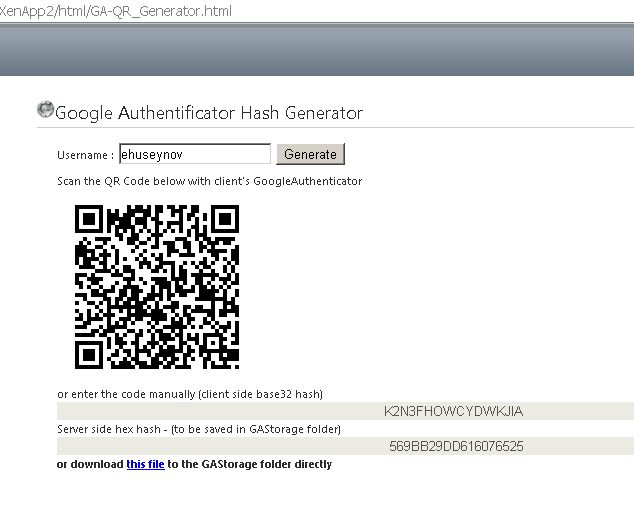 I am making available the first release of the previously announced Google authenticator modification for Citrix WI . The free version of the script is available to download. This time I have compiled all into a "smart" self-extractable archive with configurable options. 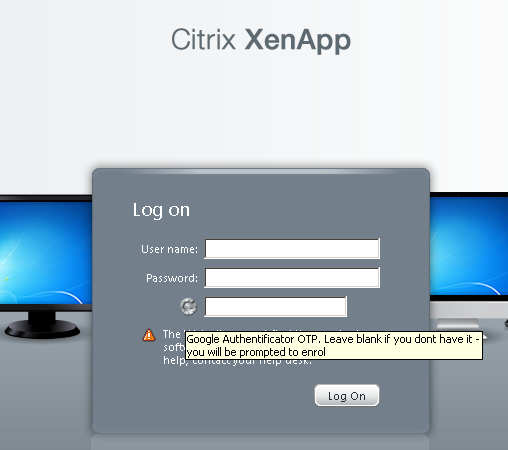 For users who do not have an active Google Authentificator account configured for Citrix WI, there are two options. 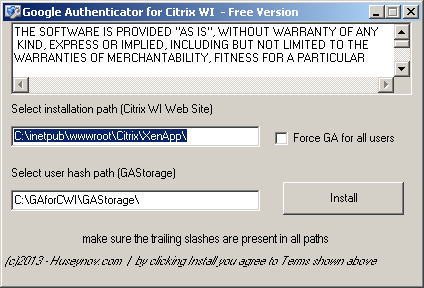 A user may be forced to have one, and in this case he/she will be forwarded to the page below and will be given no access to applications (forced mode). Please note, that for the paid version, this can be done by users themselves as described here.